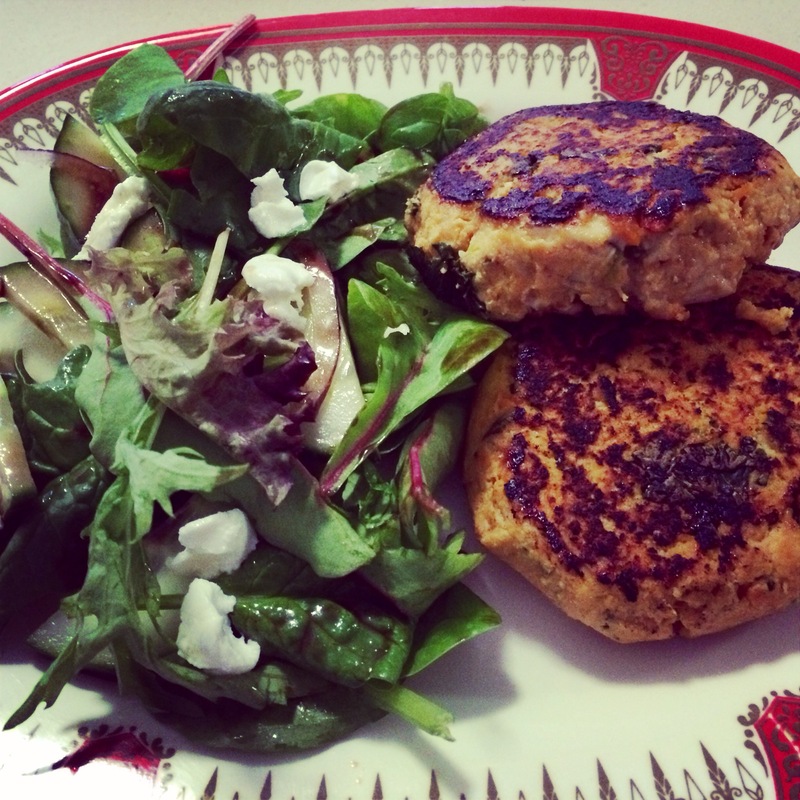 These patties are pretty tasty and great to eat for lunch or dinner with a nice salad or you could make them smaller and eat as a snack on the run. I found the original recipe here, however have converted it for the thermomix. Chop spring onions and garlic for 2 seconds, speed 6. Drizzle in some oil and sauté for 2 minutes, 100 degrees, speed 1. Add sweet potato and chop for a few seconds on speed 5-6 and cook for another 4 minutes, 100 degrees, reverse speed 2. Add kale and cook until wilted – about 1-2 more minutes on 100 degrees, reverse, speed 2. Leave mixture in TM bowl and add chicken, salt, paprika, dijon mustard, rosemary, egg and flour and mix all together on speed 4, reverse until combined. Wet hands and scoop out mixture into patties. Leave covered in the fridge for a few hours or overnight. Heat a large non-stick pan with coconut oil and cook for 5-6 minutes each side or until cooked through. These would be fab with some guacamole or sweet chilli sauce.